$270.00 with our "Advanced Replacement" option. 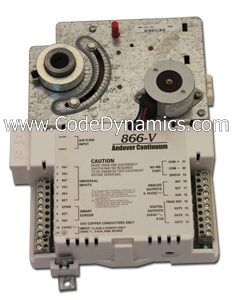 The i2865-V is a unique, low-cost VAV box controller that comes equipped with a built-in actuator to streamline hardware installation and save commissioning time. the i2865-V features Flash memory, increased user memory, and a fast (32-bit) processor for faster scan times, with plenty of additional memory available for data logging of your critical data.